The photographer of this strutting Turkey image is Nicole Heitzman. Spring turkey hunting season brings a rush like no other. It's addicting to get out and watch these big boys strut their stuff! The image is 10" wide by 10" high and is mounted to masonite. 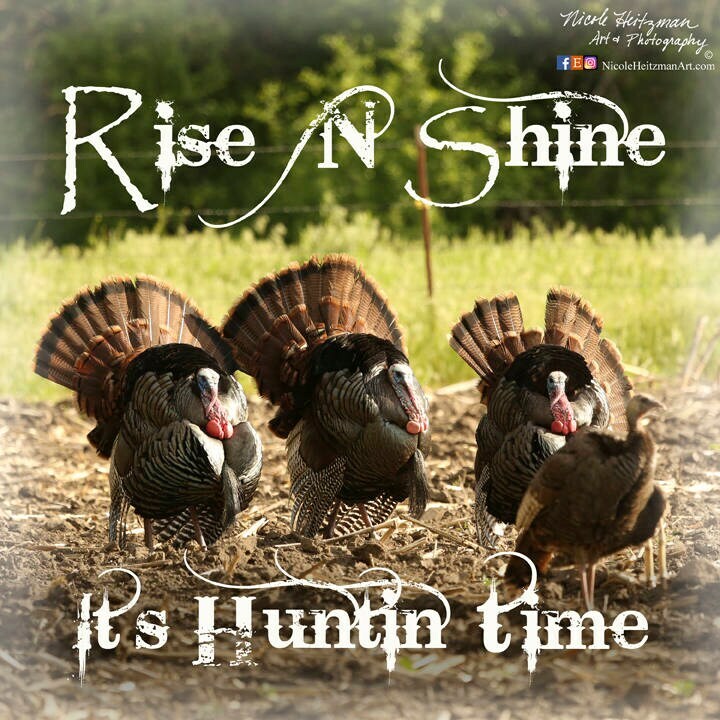 The quote on the image says "Rise 'N Shine, It's Huntin Time."